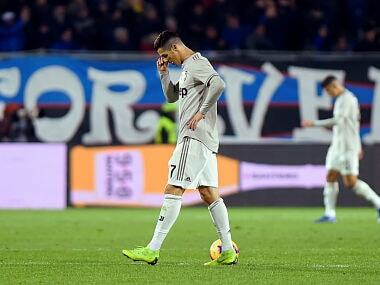 Milan: Four-time defending champions Juventus crashed out of the Coppa Italia on Wednesday with a 3-0 quarter-final defeat by Atalanta, as AS Roma suffered a humiliating 7-1 thrashing at the hands of Fiorentina. Juventus had been bidding for a fifth consecutive league and Cup double this season. But a Duvan Zapata brace after Timothy Castagne's opener put the side from Bergamo through to a semi-final meeting with Fiorentina. Massimiliano Allegri's side had come from behind against Lazio in league action at the weekend with Ronaldo snatching a 2-1 win in Rome. 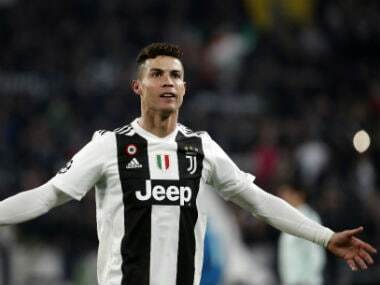 The Portuguese superstar could not find a way through for a first Cup goal in Italy with Juventus also hit by defender Giorgio Chiellini going off injured in the first half-hour. Castagne opened the scoring after 37 minutes with Zapata grabbing another two minutes later, before adding a third four minutes from time for his 17th goal in ten matches. "It's only human not to always be top. 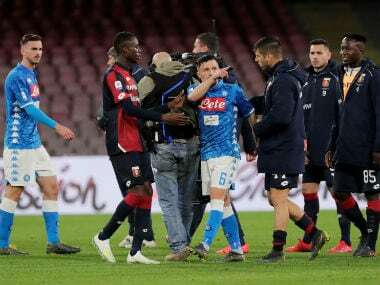 Now let's put this behind us and think about the next Serie A match against Parma," said Allegri, who was banished from the touchline for dissent. "I don't know how many games the lads have won. In Rome, we had a terrible first half but we fought back. This evening everything went wrong. "It would have been crazy to think we could win every match. It hurts to go out because we really wanted this trophy." "Even the most optimistic fan could not have predicted this victory," said coach Gian Piero Gasperini as the side from Bergamo target their second Cup title after 1963. Earlier in Tuscany, Federico Chiesa scored a hat-trick as Fiorentina crushed a "shameful" Roma side. "I'm bitter, but I won't quit," said Roma coach Eusebio Di Francesco. "I'm disappointed in the team, there are no excuses. I struggle to explain what happened, as it was a game we got wrong in every conceivable way. It was shameful." Di Francesco's side had fought back after a difficult start to the season with four straight wins in Serie A and the Coppa Italia, and are now fifth in the league. "The frustrating thing is it's so inexplicable," said the Roma boss. "Every time we think we are healed, we discover the illness is still there." Chiesa got the first goal after seven minutes from a Cristiano Biraghi cross. A Bryan Cristante header rattled the post before the 21-year-old Chiesa lobbed in his second over Olsen just after quarter of an hour. The Colombian set up Benassi after 66 minutes, with Simeone coming off the bench to pile more misery on Roma who finished the game with ten men after second-half substitute Edin Dzeko was sent off for a second yellow card. 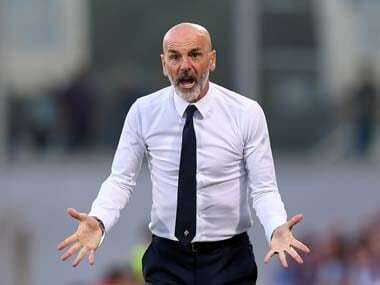 "It's the hardest day of my career," said Roma sporting director Monchi. "I've never experienced anything quite like that and we can only apologise to all the Roma fans. I can only repeat sorry, sorry, sorry." New signing Krzysztof Piatek scored a brace on Tuesday as AC Milan beat Napoli 2-0 at the San Siro. Five-time winners Milan will face either Inter Milan or Lazio, who play on Thursday, over two legs in the last four.